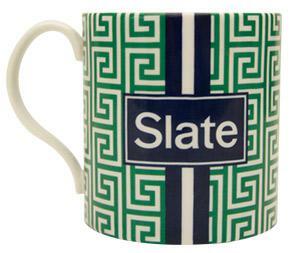 Jonathan Adler and Slate Plus: Q&A with designer of the Slate mug. Designer Jonathan Adler in 2013. This content is free to all Slate readers to promote our new membership program, Slate Plus. Join Slate Plus to get bonus segments on our most popular podcasts, behind-the-scenes content, discounts on merchandise and live events, and more. Try Slate Plus free for two weeks! Go to slate.com/plus to sign up. Our Slate Plus team spent a lot of time debating what would make the most useful, attractive, and enticing gift for Slate Plus annual members. A novelty keychain? A David Plotz bobblehead? The Slate-insignia overalls given to staff members during one late-’90s Microsoft-era retreat? (Legend has it that June Thomas still owns a pair.) None of these seemed quite right. Part of the problem was that here at Slate we create journalism, not stuff. We’re not experts on stuff. But then we realized we have a stuff expert in the family. 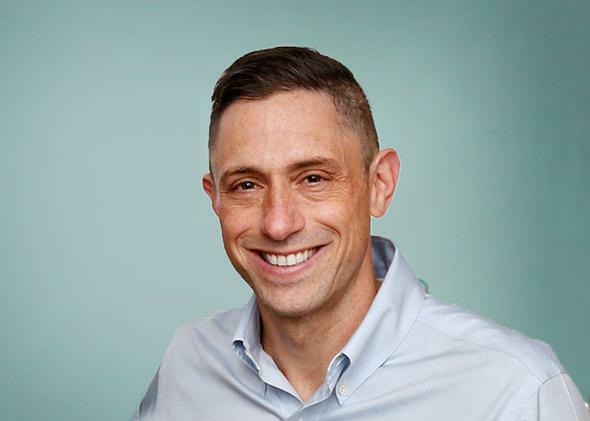 Jonathan Adler, the potter, designer, and author who creates zippy, inventive, gorgeous stuff for the home, happens to be the husband of Slate columnist Simon Doonan. You may have encountered his witty ceramics and cheeky accessories and luxe, comfy furniture in the wild. So we asked Jonathan to design something cool for all of you. Luckily for us—and our annual members—he agreed and designed the mug you see below. I asked him to tell us all about his thinking, his process, and what he’ll be drinking out of his Slate mug. I’m always drinking tea while perusing Slate, so a Slate mug was really a selfish choice. I wanted a fully coordinated Slate immersive experience. A mug also doubles as a place to corral pens on your desk—a Slate mug lets your co-workers know that you’re enlightened and civilized. How did you think about designing for the Slate reader? Hmmm … I knew it had to be chic and classique, a little bit preppy, a lot peppy, and, most importantly, the mug needed to be bisexual to appeal to Slate readers of each and every gender. Where is the brand overlap between Jonathan Adler and Slate? What do fans of both share? Slate’s readers, and our customers, are smart, popular, good-looking—and impeccably chic. They’re all-around superior people. Tell us a bit about the final design. I combined one of my favorite patterns—the Greek Key—with a sportif racing stripe in an alluring navy and white palette. Your husband, Simon Doonan, is a Slate columnist—how have the Slate readers entered your household conversation? It’s been really interesting accompanying Simon on his Slate journey and learning how smart and interesting the Slate community is. I really mean it. I think that Slate readers have made our household more interesting. We’re always poring over the comments on Simon’s columns. You’re a potter, he’s a writer—which creative endeavor is more difficult and why? What’s in your mug, coffee or tea or …? I’m married to a Brit so it is tea, tea, tea, and more tea. We’re constantly bickering over who made the last cup of tea and whose turn it is to make the next. What’s next for Jonathan Adler? New products, new stores, more, more, more. The more I make the more I want to make.